This image entitled "Absolution" is one of the most popular of my collectible fine art editions. This long exposure photograph captured at Ditch Plains in Montauk, NY is a personal favorite as well. What the viewer perceives as the sky in the background is actually the next set of waves rolling in from the Atlantic Ocean in this oceanfront spot on the south fork of Long Island, NY. A little enhancement work in Photoshop gave the image it’s soft watercolor like feeling, and ultimately printing it on a very high quality Gicleé paper leads many a viewer to think this is a painting, not a photograph. In addition to being a very popular collectible fine art edition in my body of personal work, this image has gathered much critical acclaim. It has hung in two juried art shows at two different venues in East Hampton, NY. It is also offered for acquisition in prestigious art galleries in The Hamptons, New York City, Boston, MA and Ottawa, Canada. It is also one of my most awarded images in professional photography competitions. On the local level at PPGNY (Professional Photographers of Greater New York) this image was awarded Best-In-Show in their image competition. On the international level, this image earned a silver award at the WPPI (Wedding and Portrait Photographers International) annual 16 X 20 Print, Album and Film Making Competition held annually at the MGM Grand Hotel and Conference Center in Las Vegas, Nevada. "Absolution" is also available artist direct. Use the contact page on this web site to acquire a copy. The standard 8" X 12" size, printed on Gicleé paper and delivered in 100% acid free, lignin free matting and backing retails for just $99.00. 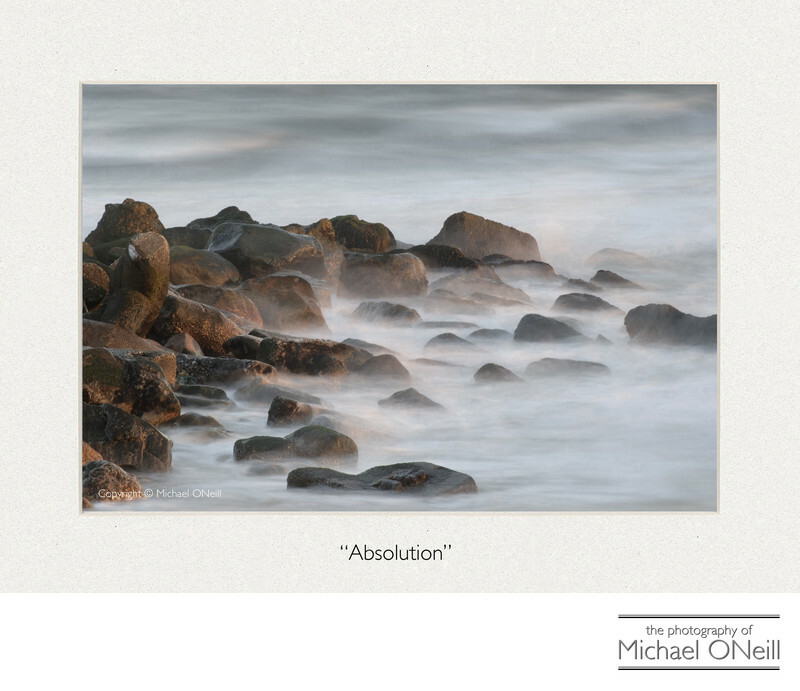 "Absolution" can be printed to any size on a variety of materials. I would be happy to quote a price for any size and material that fits your collection. I hope you enjoy viewing this image as much as I did creating it. Thanks for taking a look.